Avurudu aka the Sinhala and Hindu New Year heralds a season for giving, exchanging good tidings, blessings and good cheer. It is the time when everything starts anew in April which is also known as the month of ‘Bak’, a term which derives from the Sanskrit word ‘Bhagya’ meaning ‘prosperity’. During this period harvest is reaped and social customs relating to the farming community is brought to the fore. Since the Sri Lankan society’s life is mostly centered on agriculture, Avurudu rituals which signify a form of thanks giving for a prosperous harvest are an important part of the celebrations. The Avurudu era is also the time to make delicious home cooked food to enjoy with your nearest and dearest. Therefore women play a pivotal role in preparing the household for the festivities. 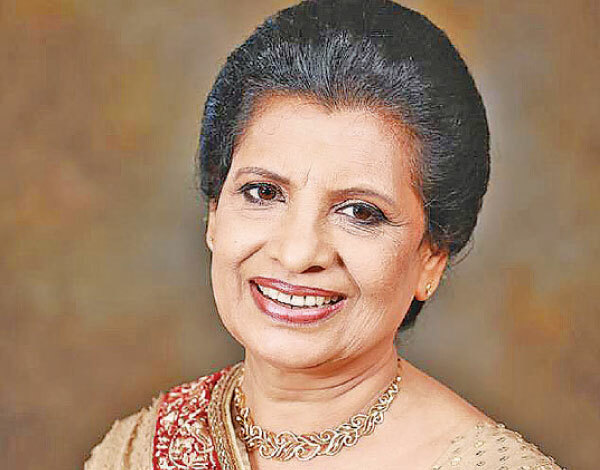 “More than simply following the traditions, it is essential for everyone to become knowledgeable about why each ritual is performed and be committed to whatever they are doing,” renowned culinary expert Shantha Mayadunne said. Mayadunne who had become a household name today due to her cookery demonstration programmes on televisions notes that most people give a gift to their family members, relatives or friends just to mark the occasion. They simply pick out something and bundle it away to a friend’s house. “We give gifts as a token of appreciation, gratitude or as a mark of friendship. Therefore you need to pay more attention to what you will be presenting to the person to signify this emotion. This enhances its value. For example you can give something like a seedling to someone who loves to maintain a garden. This kind of gift will not only be valued but it will also strengthen the bond between you,” she explained. She says that almost everyone who celebrates the season engages in something which is out of his or her daily schedule to get ready for Avurudu. “The environment too becomes refreshed. This brings a lot of happy thoughts and feelings to your mind. Since rituals play a major role in this festival, it also helps to preserve our culture and traditions,” she expressed. Combining the best of ethnic cuisine, the Avurudu table is filled with sweet, soft, succulent and crispy goodness. Sweetmeats and special dishes are an essential facet of the Sinhala and Tamil New Year. While they have come to be identified with and annual festival, some of these food items are also prepared to mark special occasions. Most of these goodies are made from rice flour, jaggery and treacle. “A mixture of these ingredients sets off an aroma which is synonymous with the Aluth Avududda. Though you might lead a busy lifestyle, you can surely find time to make a simple delicacy like kokis,” she questions. Mayadunne believes that women, especially mothers, need to take the lead and become role models to their children. “Do not avoid such duties because they help to maintain the homely atmosphere. You may imagine that people might not consume these treats which are found in almost every household during this season, but if your sweetmeats are delicious, everyone would vie to taste it,” she said adding that everyone would love a taste of something like homemade Aluwa. “The key is cutting them into small pieces,” she added. Lighting the hearth is done by boiling a pot of milk to signify prosperity. People engage in religious activities during the neutral period. “All the aspects which are needed to follow a peaceful and prosperous life are brought together to be engaged in a couple of days. You get blessings from the priests at your village temple and from your elders. You also get the opportunity to witness or engage in things which are found only once during the whole year. Avurudu games are one such aspect. The media plays an important role in bringing such features before the viewers. The younger generation get the opportunity to see that such practices exist when they show these rituals being performed in rural areas in the country,” she mused adding that some families even hold mini Avurudu festivals today when all their relatives gather under one roof. “This is a positive trend as it not only helps them all to relax and enjoy some time together but it also strengthens their bonds as a family,” she opined. Many work places give bonuses during this period so there is no need to get into debt. “It is true that you will be spending a bit more than what you usually do during these few days but try to manage how much you are willing to spend. Prepare early for the Avurudu season by making a list and do not wait till the last few days to rush off to the shops. Try to buy whatever you want on the go during the weeks leading up to the Avurudu. Then you will be stress free,” she advised. Mayadunne says that men too can do their bit to help their female counterparts plan a memorable Avurudu celebration for the family. Instead of looking at the period as one for merry making and drinking, they need to make it a time for a family affair. “Some people reserve this period to go on picnics. I am thoroughly against this concept as I believe that this demeans the value of Avurudu and its rituals. It is ok for them to go on trips once they have completed performing the rituals,” Mayadunne concluded adding that she would like to wish all the Daily News TnC readers a bright and prosperous New Year.